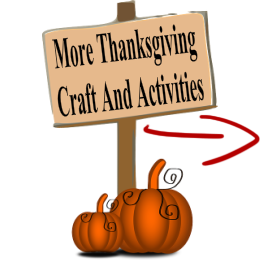 Easy Thanksgiving recipes for you and your young children to make to prepare for Thanksgiving dinner. These are our familys favourite thanksgiving recipes. Remember when baking/cooking with little ones, be very careful about them handling hot items of being near the stove. Burning can happen very quickly. Rather let your children to the mixing and stirring and you control the hot parts. I have also found that making sure all the ingredients are together before my children join me to bake to be a winning tip. we made a very successful turkey by following the Pioneer Womans turkey cooking photo tutorial. We also used her stuffing and gravy recipes. This cranberry bread recipe came out of a childrens book that we adjusted for our taste. Sift the dry ingredients together. Cut in the butter until the mixture is crumbly. Add all the other ingredients, except the cranberries. When the dough is mixed add the cranberries. Bake in a bread tin at 180 deg Celsius (350 F) for 1 hour or until a knife comes out clean. This corn bread is not only a thanksgiving recipe, but an all year favourite especially with home made baked beans! Mix dry and wet ingredients separately, then quickly mix together and place into 200C hot oven. Bake until golden brown. Cut and enjoy while warm. Yummy yummy sweet potatoes, simply baked with a twist on top! Scrub about 10 sweet potatoes and place them on a baking sheet. Bake your sweet potatoes in the oven until they are soft. Let them cool for a bit until you can handle them. Cut them in half and scrape out the flesh into a bowl. Mash with butter, salt and pepper. Sprinkle a bag of mini marshmallows over the top of the sweet potatoes and then return to your hot oven until the marshmallows melt. I originally got this combination from another American friend when she kindly shared some of her traditional Thanksgiving recipes with me. There is no meaning behind the marshmallows....it's just very yummy. Last December our vegetable garden yielded so much corn that we were eating it daily. This is one vegetable that you can never get enough of! Whether you want to eat it on the cob (my preference) or make your own creamstyle corn, just make sure some type of corn is on your thanksgiving table. In a non stick pan add your beans that have been topped and tailed. Drizzle with olive oil and stir fry until just cooked but still crunchy. Remove from heat and sprinkle with sesame seeds, black pepper and some lemon juice. 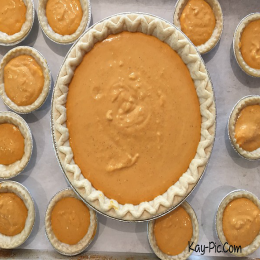 This is a simple pumpkin pie recipe for you and your children to make together. 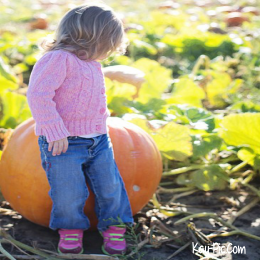 Better yet, make sure you find a farm this Fall and go and pick your own pumpkin...You can even plan to grow your own for next year if you dont have a vegetable garden yet. Mix the dry ingredients together. Mix the wet ingredients together. Add the dry to the wet and stir until just blended. Pour this batter into a well greased pie dish. Bake at 180 deg Celsius for 40  60 minutes until set. Allow to cool and serve with a dollop of freshly whipped cream as a pudding.